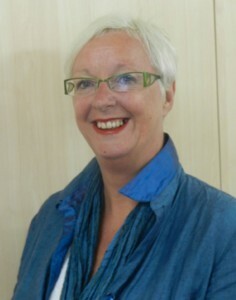 Deborah Miller has recently joined the Linkwest team in Western Australia as the Adult and Community Education Manager. Hailing from the UK, Deborah has always been passionate about Adult and Community Education and has spearheaded some highly innovative and successful literacy projects. Quest speaks with her about her achievements and plans. I started my career as a young teacher in a social priority school and ended up as Assistant Principal, with special responsibility for adult learning, in a further education college. Alongside this role, I also set up a government funded organisation, The Essential Skills Support Unit, to support businesses, colleges, RTOs and community organisations to address the ‘National Foundation Skills Strategy for Adults’. You have been involved in the UK education sector for 35 years. How does the Australian adult and community education sector differ from that in the UK? This is an interesting question, and I must say I have had a few surprises since we moved to Australia. In the UK much non-accredited learning is funded by the Skills Agency. This funding has reduced over the years, but is still available, thus enabling centres to offer subsidised, or free learning opportunities to learners from disadvantaged backgrounds. Because these centres receive government funding they are inspected and have to prove that the learning they deliver is of a high quality and provides positive outcomes for learners. Organisations in the UK therefore have to be very careful about how they distinguish between a club and a learning opportunity to ensure that funding is allocated appropriately. The commitment that many Australian adult and community learning organisations have to non-accredited learning is inspirational. I have visited so many centres which have been run entirely by volunteers. They offer a huge range of programs using local residents to deliver them. This approach is so empowering for communities and it is wonderful to see how they take responsibility for these centres. Alongside this, comes questions about how quality improvement is supported, how centres can sustain activity when many centre volunteers in WA are aging and how centres can engage all members of the community in their activities. During your time in the UK, you worked on a $14 million project for non-accredited workplace literacy and numeracy learning and train the trainer professional development. What impacts did this project have and what did you learn from it? This was an interesting project, which covered the whole of the South East coast of the UK. It was initially established to support a wholly Government funded initiative to provide free level 1 and level 2 literacy and numeracy and Level 2 vocational programs to the UK workforce. businesses and members of the workforce did not realise the impact that low levels of literacy and numeracy could have on personal progression and a company’s bottom line. Our project carried out literacy and numeracy awareness raising to businesses so that they would buy-in to the project. We then developed literacy and numeracy programs tailored to the individual businesses and linked that to individual participant needs. The impact of this element of the project was startling. Hundreds of business engaged with the project and released staff to attend courses. Our research showed that the impact of literacy and numeracy courses had a significant and positive impact on business profitability and productivity. From the learners’ perspective, we found that learners were more successful in achieving their vocational qualifications and were more likely to access accredited literacy and numeracy programs later down the line. The professional development programs we offered teachers and trainers literacy and numeracy were a resounding success. Teachers were more confident in their delivery and believed they were better equipped to support their learners. Huge numbers of professionals undertook a range of the mandatory literacy and numeracy qualifications with very high success rates and with positive outcomes for the quality of their delivery. So what have I learned from this experience? I know that businesses will only engage in projects such as this if they see a positive benefit for them. Deliverers need to fit in with their requirements, be prepared to deliver programs at a time and place to suit them and their employees and parcel courses in an attractive way. My belief that those delivery literacy and numeracy should be well qualified and skilled in the subject was also substantiated. Many adults who missed out at school have very negative attitudes towards learning and therefore need to have the very best teachers and trainers to support their needs. Finally, the role of mentoring and information, advice and guidance is crucial to supporting the lifelong learning journey. Many adults who would benefit from developing their literacy and numeracy skills have other life issues which need to be addressed before they can become successful learners. Australia’s literacy and numeracy levels have not altered or improved since last surveyed ten years ago. Is non-accredited literacy and numeracy training going to be a continuing focus in your work in WA? Yes, I am passionate about the importance of non-accredited learning in supporting progression to accredited learning. Many people need stepping stones to build confidence before they move onto more formal learning, and non-accredited programs around individual learner interests and needs that contextualise literacy and numeracy are highly successful. During my career I have developed and delivered such programs around supporting your child in school, interior design, cookery, getting back to work and much more. Programs such as these engage and enthuse learners to progress and achieve and I would really like to explore opportunities to develop these programs in Australia. With a new name and a new website, it seems like Linkwest is in a process of dynamic renewal. What would do you hope to achieve in your role at Linkwest? I am thrilled to have started work at Linkwest at such a seminal time. I have lots of ideas, but the most important first step for me is to talk to centres about what they want and need from a learning and training perspective. I have already seen opportunities to develop new initiatives such as: introducing more ICT programs into centres, looking at how we can share resources across centres more effectively, developing an interactive learning platform, introducing a quality toolkit for those delivering learning and developing a learner Champion project. I don’t think I will be retiring in the near future!